In approving Cha’s appointment on April 26, Carrie Lam—herself a trailblazer as the first female Chief Executive of Hong Kong—was putting in place the first woman to chair the bourse since the founding of its forerunner, the Stockbrokers’ Association of Hong Kong, in 1891. Cha is also the only woman among the chairmen of Hong Kong’s 50 blue-chip firms—a sadly standard figure in a city where the female board representation rate is less than 14 per cent, according to a study by the 30% Club HK, a group of business leaders who are committed to bringing more women into Hong Kong corporate boards. Women are also quite badly under-represented in the legislature, numbering just 11 of its 70 members. “That’s not for the want of trying,” says Cha. She is, indeed, eminently qualified. Cha has served as a senior official on the HKEX’s regulatory body, the Securities and Futures Commission, and on its counterpart in Mainland China, the China Securities Regulatory Commission. 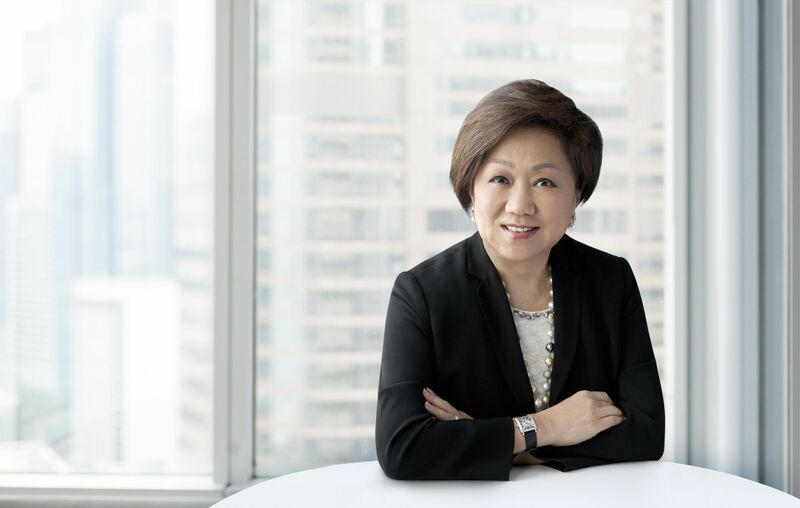 As chairman of Hong Kong’s Financial Services Development Council, she pushed for the introduction of dual-class shares and led efforts to position the city as an offshore centre for trading in yuan. She is also a non-official member of Hong Kong’s Executive Council and an independent non-executive director at HSBC Holdings. Can The First-Ever "Doing Good Index" Revolutionise Asian Philanthropy? Cha, who was elected chairman of the HKEX unopposed, is keen to enhance the competitiveness of the exchange, fend off competition from other overseas exchanges, such as counterparts in Shanghai, Shenzhen, Singapore and the US, and institute reform. In April, the HKEX announced its biggest reform in decades, allowing biotech firms yet to generate revenue to apply for listings, as well as mainland technology companies seeking secondary listings in Hong Kong. “The threats and challenges to Hong Kong’s status as an international finance centre from other exchanges, both far and near, are a major concern,” says Cha. “We are in a new economy so some of the rules of the game have changed, and we have just caught up with it with our latest reforms to attract these companies to list in Hong Kong. Given that Hong Kong is facing stiff competition from Mainland China and elsewhere, Cha’s appointment comes at a critical time for the HKEX and for Hong Kong itself. Cha agreed to serve a two-year term, which can be renewed twice. Will six years be enough time for her to accomplish her goals? “I will finish my first term before I speak further on that,” she says discreetly.